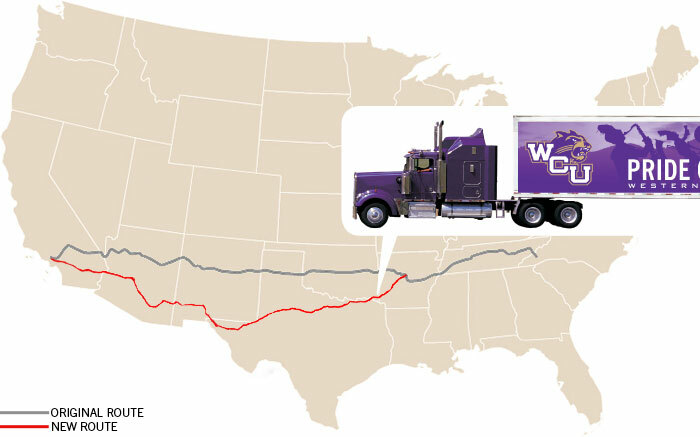 The three trucks driving band equipment cross country planned to stop for the night Dec. 26 near the border of Texas and Arkansas. 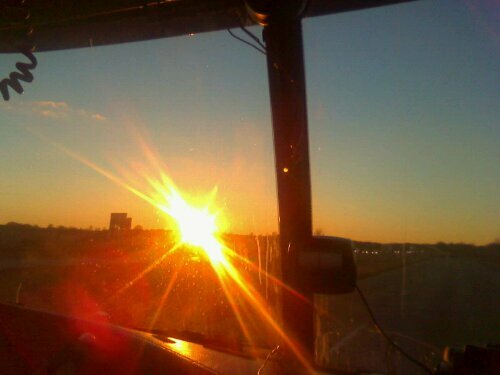 The trucks drove into the sunset Dec. 26 in Arkansas. 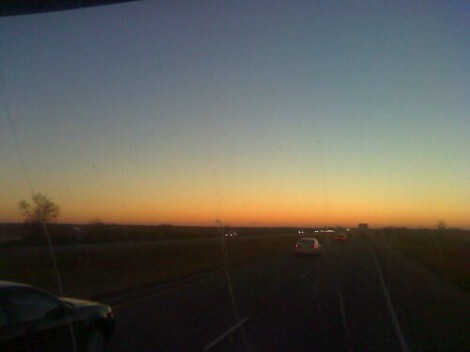 The sun sets "somewhere in Arkansas," said Jimmy Crocker. 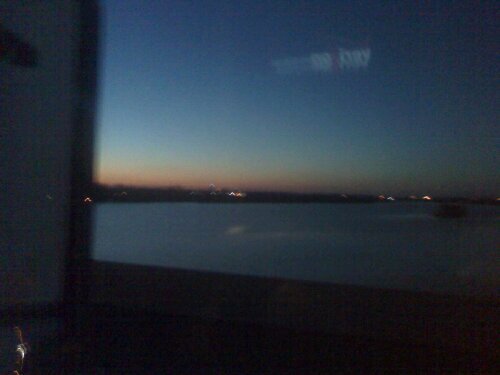 The trucks crossed over the Arkansas River.